The largest and most comprehensive renovation project in the school’s history is expected to be complete before August 15. The Mayde Creek Rams will start the first day of their 2018-2019 school year in an almost unrecognizable campus. The renovations were approved in the 2014 school bond, and have a price tag of just over $51 million. According to Mayde Creek High School Principal Ronnie Edwards, they could not have come at a better time. “Katy ISD has done an excellent job at strategically planning when a campus is in need of updates or renovations, and we were able to see the benefit of that this year,” he says. After taking a certain degree of water damage during Hurricane Harvey in August of last year, the completed changes will give fresh heart to the student body and staff. The new and improved learning areas and open spaces are literally designed to foster a positive school culture. “The design of the open spaces and flex seating in the common areas will facilitate more collaboration, and give students more opportunities to have their voices heard,” he says. The hallways and campus infrastructure have been streamlined as well, with Mayde Creek’s back hallways being updated to connect and help students get to class faster. Additionally, a skybridge connecting the freshman center to the main campus will cut down on walking time. The school will also integrate updated safety and security measures that are being implemented at campuses across the district. 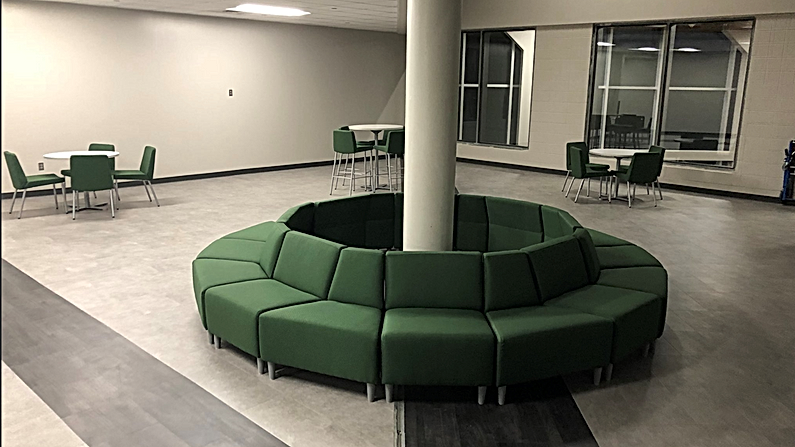 And while the ninth grade campus was not included in upgrades approved by the 2014 bond, Mayde Creek freshman will benefit from new classroom furniture, flooring, and updated paint. A new “Genius Bar” in the school library will also be available, giving students increased opportunities for the use of technology. Every school bond generally has normal upgrades and maintenance for all school campuses Additional items were approved for Mayde Creek High School on the 2017 bond.